Despite the Pound’s (GBP) surge in demand on Brexit speculation last week, the Pound Sterling to South African Rand (GBP/ZAR) exchange rate only advanced at the end of the week when the South African Rand’s (ZAR) own rally wore off. GBP/ZAR opened last week at the level of 17.77 and closed the week higher, at the level of 17.86. This was despite GBP/ZAR trending lower for most of last week and even briefly touching a monthly low of 17.52. Since markets opened this week, GBP/ZAR has slipped slightly on Brexit uncertainties but has avoided significant losses due to the Rand’s own weakness. The South African Rand’s strength last week evaporated on Friday, in reaction to some US-China trade tensions, as well as a dovish tone from the South African Reserve Bank (SARB) on Thursday. 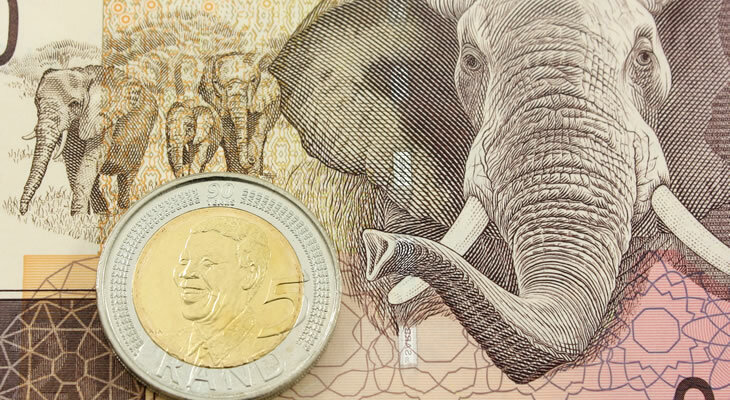 Investors remain hesitant to buy the relatively risky South African Rand today, as disappointing Chinese news and some global political uncertainties meant there was some lingering demand for safe havens. For much of last week, investors bought the Pound on the hopes that with UK Parliament taking more control over Brexit, market-negative scenarios like a No-deal Brexit could be avoided. A failed no-confidence vote in the UK government also bolstered hopes that a general election was unlikely, further boosting demand for the Pound. This Pound strength came despite the Brexit developments meaning that the government’s negotiated Brexit deal was doomed to fail, and the outlook over what could happen next remains filled with uncertainties. As a result, the Pound’s strength had largely faded when markets opened this week and investors anticipate further Brexit developments. After a volatile week for the South African Rand last week, the risky emerging market currency steadied on Monday. For much of last week, hopes of US-China trade developments and weaker commodity trade prices made investors more willing to buy emerging market currencies like the Rand. However, the South African Reserve Bank (SARB) held its January policy decision on Thursday and the bank’s tone on near to mid-term inflation came across as dovish. This, coupled with the US Dollar’s (USD) jump in demand and a brief rise in US-China trade fears left the South African Rand weaker towards the end of last week. US-China trade hopes are higher this week and oil prices are lower. While these factors are supporting the South African Rand today, news that Chinese growth had hit its worst level in 28 years limited the currency’s appeal. Much of the Pound to South African Rand (GBP/ZAR) exchange rate’s recent movement has been inspired by political developments, and this is likely to continue in the coming sessions. For now, Pound investors are awaiting the UK government’s intentions regarding its Brexit ‘Plan B’. The proposal is not expected to be particularly influential, as even if the government says it will attempt to reopen negotiations the EU has indicated its deal cannot change much if at all. Any surprising indications or tones from the ‘Plan B’ news could of course be hugely influential for the Pound though. As for the South African Rand, investors will be paying close attention to political developments in the US, as well as tensions between the US and China. If investors become more confident that US-China trade relations will improve, or if there are any signs that the US government shutdown will end soon, the Pound to South African Rand (GBP/ZAR) exchange rate outlook will weaken.